There are many different products on the market now that claim to clean your pet’s teeth and prevent the need for a full dental under anesthetic. Although it might visually appear to make the teeth look healthy and certainly does make the breath smell better, the problems with these products and hand scaling while awake is they do not take care of the problems that build up under the gum lines and continue to decay the tooth and the jaw. 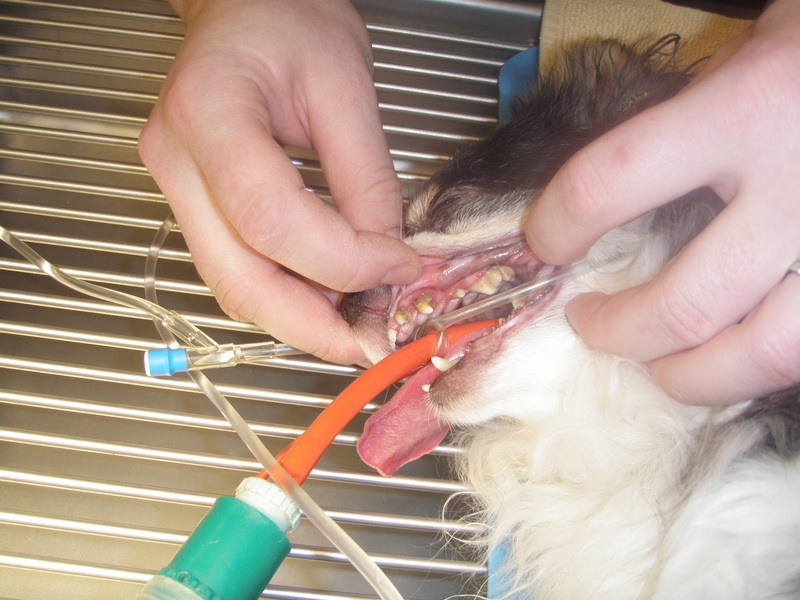 They also do not reach all of the surfaces of the teeth that can be reached when the animal is placed under anesthetic. Plaque is the biofilm that accumulates on teeth, composed of mucin, food residues, desquamated epithelial cells, leukocytes, bacteria and their products including mucopolysaccarides. In short it is the film that you feel develop on your teeth when you have eaten, but haven’t brushed. Brushing can remove plaque before it has a chance to develop into something further. Tartar also called calculus is the hard deposit that accumulates on the teeth – it is mineralized plaque. Tartar is the plaque that has built up over time and has hardened. Periodontal disease is the plaque-induced inflammation of the periodontal tissues. 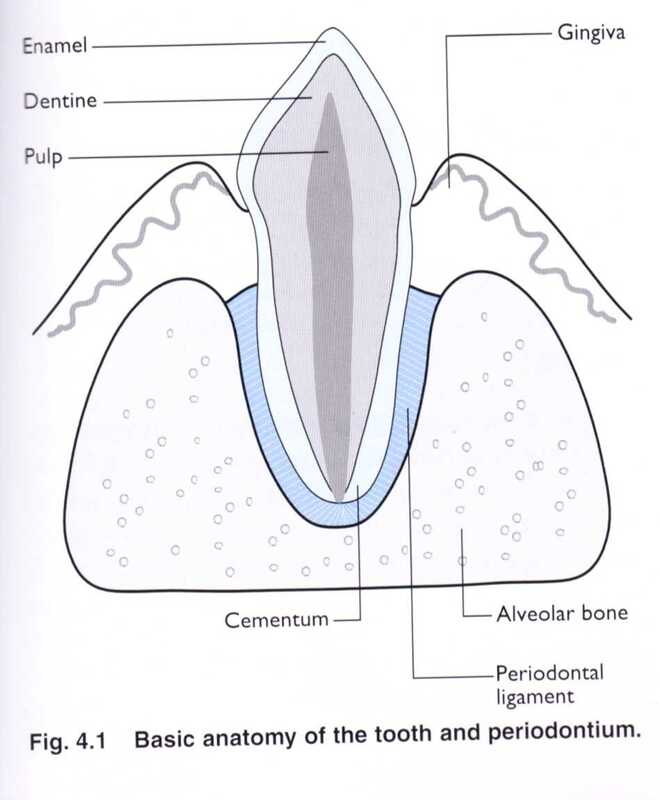 Tissues adjacent to, surrounding and supporting the tooth and its roots. Scaling is the act of using an instrument called a scaler to remove the plaque and calculus from the crowns of the teeth. There are hand scalers and ultrasonic scalers. Some special ultrasonic scalers also remove the plaque and calculus below the gum line. We have one of these here in the clinic. Polishing is the act of removing the microabrasions that occur to the teeth as they are scaled. An additional problem with hand scaling without anesthetic is that the teeth can not be polished. Without the polishing this microabrasions create additional surfaces for plaque and tartar to build up and deteriorate the teeth. As tartar builds up on the tooth it begins to wear down on the gingiva (gums), it essentially pushes its way along the tooth between the tooth enamel and the gingiva. As it continues it reaches the peridonatal ligament and continues to push its way down, loosening the ligament’s hold on the tooth, resulting in a loose tooth. As it sits against the tooth it begins to decay the enamal, rotting the tooth. A dental done under anesthetic when the teeth are just dirty but not beginning to decay can prevent the need to remove teeth. However, if a tooth is loose or rotting it needs to be removed. Keeping teeth in like this will cause further decay in the mouth; to the gums, the teeth and even the bone within the jaw. PLUS all the bad bacteria in the mouth can also lead to other health related issues or cause existing issues to deteriorate faster. Once the teeth are nice and clean from a dental cleaning the best option to keep them that way is regular brushing. 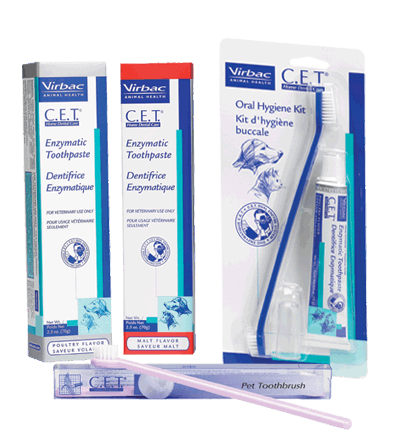 With some training and practice you can make cleaning your pet’s teeth an enjoyable experience. As part of the cost of a dental we do a follow-up with you about a week or so after the surgery. 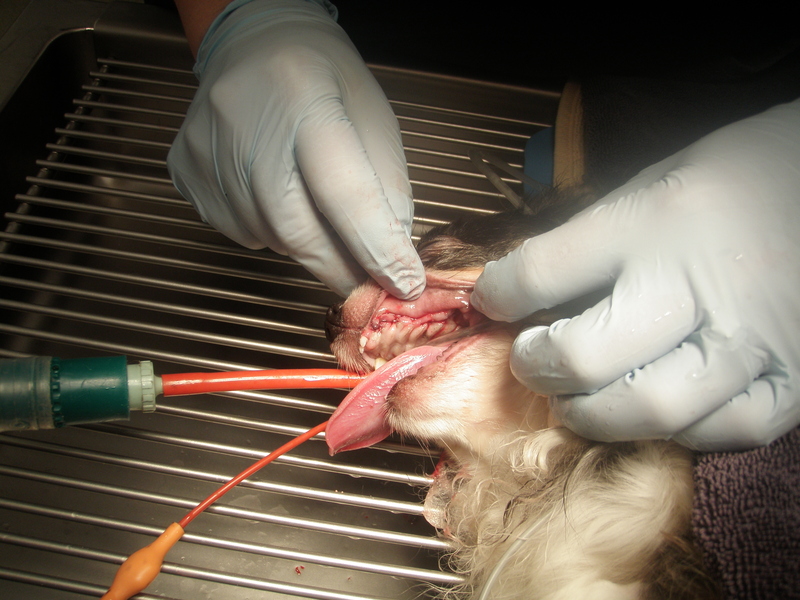 During this follow-up a veterinary technologist will check the mouth to ensure everything has healed nicely (especially if teeth have been removed) and then go over dental care including brushing and how to start. The link below is a wonderful blog that has great x-ray imaging of the consequences of only doing scaling while the patient is awake. You can clearly see where not only has the tooth completely deteriorated, but so has the bone in the jaw (we have included one image from the blog for you to see). A really good read that we strongly recommend.